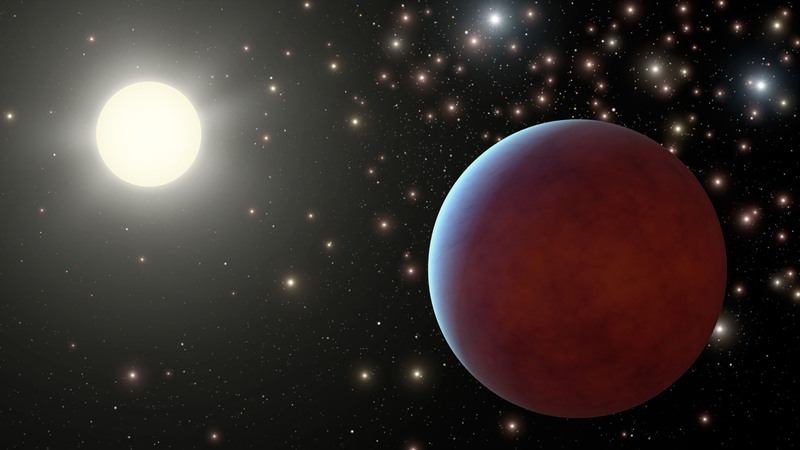 For the first time, a team of astronomers have spotted two new “Hot Jupiter” planets, called Pr0201b and Pr0211b, orbiting sun-like stars in the Beehive Cluster, also called the Praesepe. Pasadena, California — NASA-funded astronomers have, for the first time, spotted planets orbiting sun-like stars in a crowded cluster of stars. The findings offer the best evidence yet that planets can sprout up in dense stellar environments. Although the newfound planets are not habitable, their skies would be starrier than what we see from Earth. The two new Beehive planets are called Pr0201b and Pr0211b. The star’s name followed by a “b” is the standard naming convention for planets. “These are the first ‘b’s’ in the Beehive,” said Sam Quinn, a graduate student in astronomy at Georgia State University in Atlanta and the lead author of the paper describing the results, which was published in the Astrophysical Journal Letters. Quinn and his team, in collaboration with David Latham at the Harvard-Smithsonian Center for Astrophysics, discovered the planets by using the 1.5-meter Tillinghast telescope at the Smithsonian Astrophysical Observatory’s Fred Lawrence Whipple Observatory near Amado, Arizona to measure the slight gravitational wobble the orbiting planets induce upon their host stars. Previous searches of clusters had turned up two planets around massive stars but none had been found around stars like our sun until now. 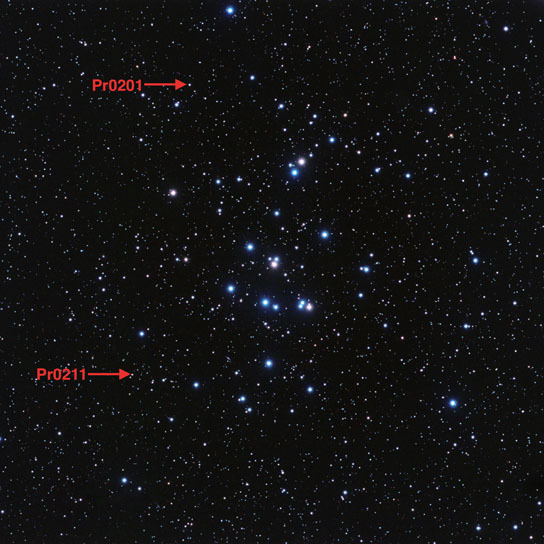 Be the first to comment on "Pr0201b and Pr0211b Orbiting Sun-Like Stars in the Beehive Cluster"